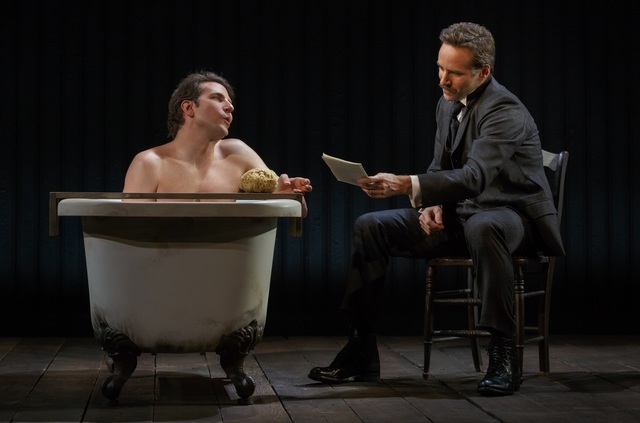 Hollywood heartthrob Bradley Cooper comes to the West End this May, starring as disfigured London celebrity Joseph Merrick — better known as the Elephant Man. Tickets for The Elephant Man — transferring from Broadway with its American cast — went on sale today. It runs at the Theatre Royal Haymarket from 19 May-8 August. Top whack seats will set you back a whopping £104 (plus booking fee) although get in there early enough, and you can snaffle an upper circle spot for £22. Joseph Merrick — referred to as John in the production — suffered from a condition that no one has ever properly diagnosed. After being toured around the UK and Europe under his none-too-flattering moniker, Merrick was taken under the wing of surgeon Frederick Treves, who studied Merrick at the London Hospital in Whitechapel, up until Merrick's death in 1890. Bernard Pomerance-penned play The Elephant Man debuted in 1979, swiftly followed by a David Lynch film. Merrick has never really left London's consciousness, and continues to crop up in popular culture, including Alan Moore's graphic novel From Hell. Bradley Cooper is joined onstage by Patricia Clarkson, and Alessandro Nvola, who plays Treves. You can book tickets for The Elephant Man now on the official website.